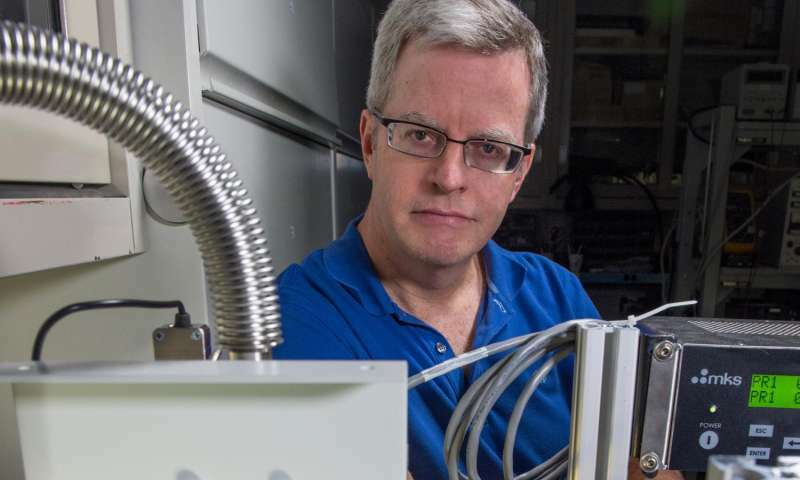 Will Brinckerhoff, a NASA scientist at the Goddard Space Flight Center in Greenbelt, Maryland, helped build a mass spectrometer for the European Space Agency's 2020 ExoMars Rover mission. He then leveraged the same model to create an even more capable instrument for a future NASA Mars mission. He now is parlaying these experiences to build yet another instrument under a new multi-million-dollar technology development award. The latest incarnation, the Europan Molecular Indicators of Life Investigation, or EMILI, would search the surfaces and subsurfaces of Jupiter's moon Europa or other icy moons for molecular biosignatures: structures or patterns of organic compounds indicating the presence of current or past life on these intriguing worlds. Although at least six moons are believed to harbor liquid, Jupiter's Europa has special appeal among astrobiologists—so much so, in fact, that NASA is conducting an early feasibility study for a dedicated lander mission that would follow the planned Europa Clipper multiple-flyby mission in the 2020s. Such a lander would study surface samples of the ice overlaying Europa's vast subsurface ocean. Scientists believe the ocean may have existed for billions of years, time enough for potential life forms to evolve. "If life exists in Europa's subsurface ocean, its molecular signs may be detectable in surface samples," Brinckerhoff said. "We're talking about microbial organic concentrations at levels well below a part per billion by weight." NASA's Concepts for Ocean Worlds Life Detection Technology program, or COLDTech, awarded Brinckerhoff and his team two-year funding to advance EMILI as a potential instrument on a lander. The goal is to mature the instrument to a technology readiness level of six, or TRL 6, which means EMILI is ready for flight development and capable of detecting and analyzing microbial life forms. EMILI has a head start, Brincerkhoff said. The prototype would carry a similar suite of capabilities already developed for the Mars Organic Molecule Analyzer-Mass Spectrometer, or MOMA-MS, and the Linear Ion Trap Mass Spectrometer, or LITMS. MOMA-MS, which Brinckerhoff's team will deliver in less than a year for integration onto ESA's 2020 ExoMars mission, will identify organic material by measuring the mass of the individual molecules locked inside crushed Martian rock samples. LITMS, under development for a potential future Mars mission with support from NASA's Maturation of Instruments for Solar System Exploration program, is nearly at TRL-6, pending a final round of Mars environmental tests. Both instruments detect and identify organic material on Mars with two techniques. In one, called laser desorption mass spectrometry, an onboard high-intensity laser converts a sample's molecules into ions, which once formed, are directed into a mass analyzer where they are separated according to their mass-to-charge ratios. The result is a spectrum that reveals elements and structural details that make up the molecules. The other technique, called gas-chromatography mass spectrometry, involves heating powdered samples with a miniature oven and analyzing the released gases. All these capabilities are linked through a single, highly miniaturized linear ion trap analyzer. LITMS, however, takes these capabilities to the next level. In addition to these capabilities, LITMS carries a precision core sample-handling system and can analyze both positive and negative ions, which broadens the range of molecules the instrument can identify. "EMILI represents a redevelopment of LITMS for Europa. 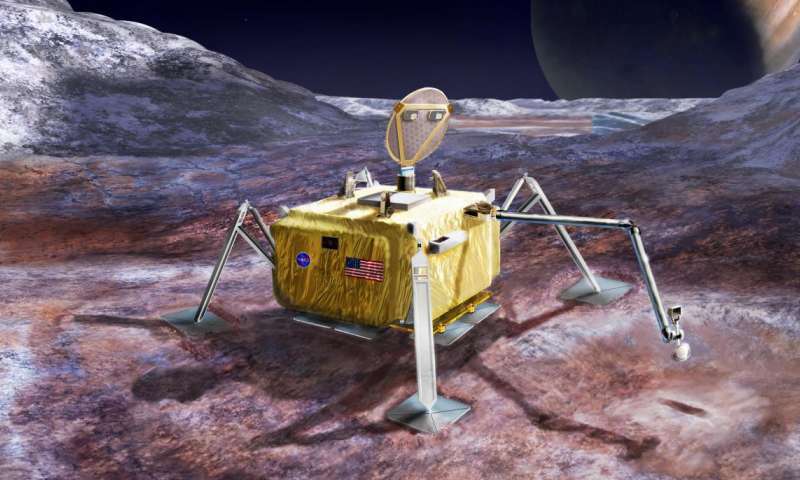 In some respects, EMILI is a more straightforward implementation than MOMA or LITMS at Mars," Brinckerhoff said, adding that Europa doesn't have a significant atmosphere, eliminating the need for certain types of hardware that add size and complexity to the instrument. "What we have with the EMILI breadboard is far enough along in development that we are confident we can build a flight version," he added. "COLDTech is giving us an opportunity to demonstrate that we can make the critical biosignature-detection measurements on an ocean world like Europa."